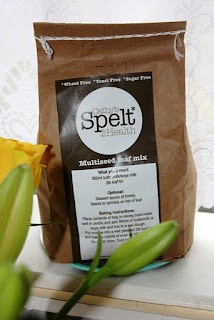 I love spelt flour to bake with so I was excited when I saw this Irish-made multiseed spelt bread mix in Planet Life in Athlone for €3.99. You just add soya milk or buttermilk and mix to a dough, so it couldn't be simpler. I can't get the link to Cathy's Spelt for Health site to work but I have found the company on Facebook here. They have lots of great products which I hope to try soon. Here's how the loaf turned out - it looks and smells yum. We're planning to have it with a lentil soup for dinner. love the pics!sorry about the website, dont know what happened but have send message to our server to check it out! Thanks for posting! Thanks Cathys SPH. 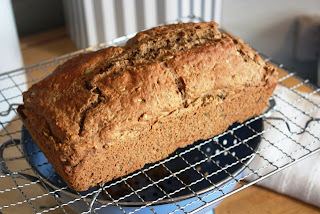 The bread is gorgeous - looking forward to trying more of your products.